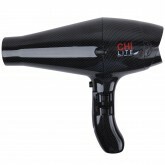 Create flawless curls and waves at the push of a button with the CHI Volcanic Lava Ceramic Spin N Curl. 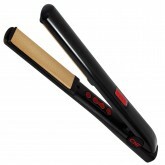 Hair is drawn into the curl chamber where it is heated and timed to create perfect curls and waves every time! 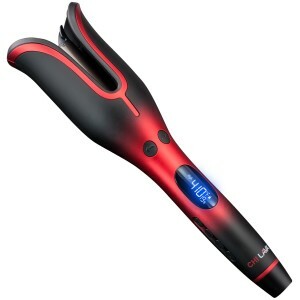 The digital temperature display offers easily adjustable temperature settings and a selection of preset temperature settings for each hair texture, creating a customizable styling experience while avoiding unnecessary heat damage. 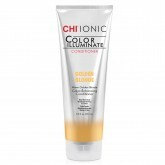 Ceramic heat technology produces far infrared heat while the conditioning benefits of negative ions results in shinier, healthier and more beautiful hair. 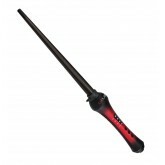 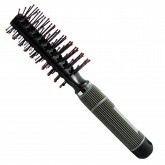 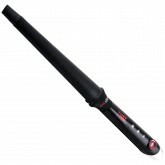 Curling hair has never been so effortless with the CHI Lava Spin n Curl! 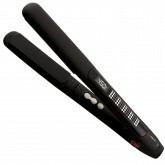 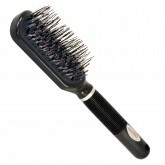 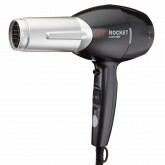 If hair becomes tangled, the Spin n Curl will beep continuously and the display with read RESET. 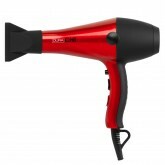 Push the power botton on the Spin n Curl to turn off and gently remove the tangled hair by pulling out thin strands, section by section, until the hair has been removed. 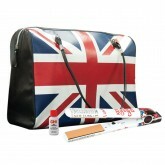 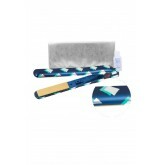 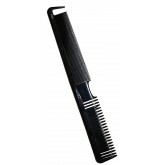 CHI G2 Digital Hairstyling Flat Iron 1"
CHI British Invasion Flat Iron 1"
CHI Azul Diamante Flat Iron 1"
CHI Onyx Euroshine Hairstyling Iron 1"